When eight friends are trapped on a remote mountain retreat and things quickly turn sinister, they start to suspect they aren’t alone. Gripped by fear and with tensions in the group running high, you’ll be forced to make snap decisions that could mean life, or death, for everyone involved. Every choice you make in your terrifying search for answers – even the seemingly trivial ones – will carve out your own unique story. Until Dawn is a flawed, but fun experience. Though an unfocused story means it falls short of greatness, it’s an otherwise entertaining homage to the curious traditions of horror movies which pays off your in-game decisions with occasionally shocking consequences. While it has some awkward controls, rough patches here and there, and doesn’t make full use of the ideas it’s brought to the table, it does all of those things while legitimately trying to inject something fresh and different into the genre in which it belongs. I think there’s going to be a lot of people for whom Until Dawn doesn’t click—especially those who require more “game” from their games. For those fans of horror who can still focus on the light in any unfortunate moments of darkness, then this is one gorey getaway trip I’d recommend you take. While there are flaws here and there, Until Dawn is a very well put together experience, mixing great graphics and complex storytelling in a super-tight package. If you fit its very specific target, meaning that you enjoy the specific kind of horror it reproduces, and you don’t mind old-style adventure-like gameplay and quicktime events galore, you’ll find it a really exceptional and fairly unique game, that will scare the hell out of you in all the right ways. The beginning of Until Dawn boasts that the decisions you make during the game will craft a unique and personal story. ...However, the script kept me entertained and feeling like my decisions mattered throughout my 10-hour playthrough. Thanks to some good twists, a few fake-outs, and limitless jump scares, Until Dawn would make a solid horror film. As a piece of interactive fiction, however, it's a remarkable experience that horror fans shouldn't miss. Until Dawn is everything that Quantic Dream games have tried to be – unsuccessfully – for the past decade. It emulates horror movies while demonstrating a clear understanding of what makes those movies work, its focus on consequence is nervewracking and intricate, and its story is silly but strongly delivered. It’s the best David Cage game not made by David Cage, and it’s the best interactive horror flick you’ll play. 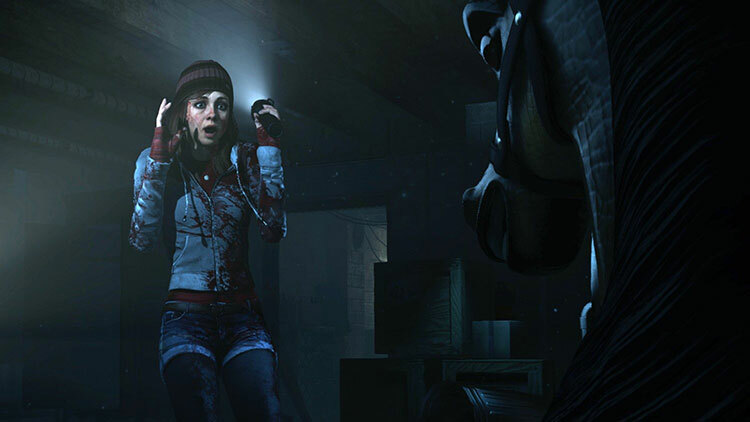 Luckily, though, the horror movie feel, the solid camera work and performances, and the intriguing script and characters make pushing past Until Dawn's issues feel worth it. Sure, the characters occasionally do something dumb, and you'll wonder why no gun seems to need reloading and no one has inquired about why the lights don't work in the lodge for the entirety of the game, but the scares and atmosphere come together nicely and you can get people killed fairly often and in gross ways. Ultimately, Until Dawn is a bold experiment that pays off far more than it doesn’t. Though the story’s set pieces are set, the outcomes are not, and if you’ve got the snooping skills to find all the totem guides, the reflexes to ace every QTE, and the luck to pick Hide instead of running away at the wrong time, everyone just might make it out alive. Clunky controls, occasional graphical issues, and brutally fast quick-time events mar the experience, and while most of your branching choices lead to logical conclusions, a few lead to frustratingly random outcomes. 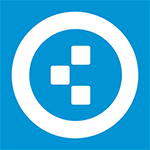 It's a game that's generic while being unlike anything else I've ever played. It's bad in some very evident ways, and yet I want everyone I know to try it. It's not a great game, probably not even a good one, but it does things I want every narrative-based game going forward to learn from. I'm still fascinated by it, still planning more playthroughs for myself, still wanting to recommend it to friends. Until Dawn's greatest mystery may be how it manages to remain compelling in spite of such huge flaws. What’s most surprising is just how well Until Dawn manages to pull you in. ...The night plays out almost in real-time, lasting about 8 to 9 hours long, and as soon as we were finished, we instantly wanted to go back to see what could have changed. Due to its thrilling nature, wide cast, and focus on choice, it’s one of the few adventure games we could even recommend for parties. It’s more fun than we expected, and we can’t wait to relive the night with our own group of friends. 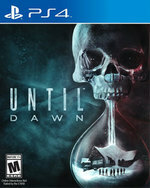 While Until Dawn isn’t quite that in the third person, a lot of the game’s story is told through exploring with the character you happen to be controlling, finding collectibles, or other items that add color to the world. Perhaps more proficient in keeping the player tense than in delivering legitimate scares, Supermassive Games' PlayStation 4 exclusive Until Dawn is an interesting blend of survival horror and choose your own adventure. The acting is excellent; I empathize when the characters are feeling flirty or scared or sad, thanks to a swathe of believable, poignant vocal performances. ...I didn't expect to have so much fun with Until Dawn, and the depth with which my choices mattered and affected the final outcome encouraged repeat playthroughs. 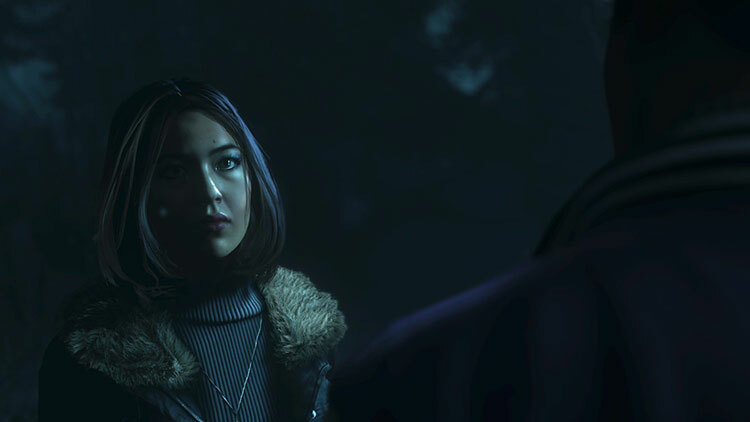 The visuals can be wonky at times, but in the end Until Dawn succeeds in being a thoughtful use of familiar mechanics, a great achievement in player-driven narrative, and a horror game you shouldn't miss. I think anyone looking for a solid horror game are going to be pleasantly surprised by Until Dawn. I actually found it even more enjoyable playing with an audience, especially one that’s more scared of horror games than me. Until Dawn delivers on multiple fronts and it's a welcome addition to any PS4 owner’s library. Sometimes funny, sometimes cheesy, sometimes downright scary and tense as hell, Until Dawn is one wild ride, and while not everyone will think it’s worth the entry price, I couldn’t be happier with the end results. I had such a blast with it, I started it over immediately to complete again, a rare thing these days. They aimed to go for an interactive horror movie experience and they absolutely nailed it. It could have been a near masterpiece if not for the tonal shift halfway through and if Supermassive committed to either going in the over the top Cabin in the Woods direction or delivering a taut and intelligent slasher like the original Black Christmas. Still, Until Dawn is gripping through its nine-odd hour running time and never lets off the gas. It’s scary — although sometimes cheaply so — and does a great job illustrating the butterfly effect. What Supermassive has accomplished so early in their tenure is impressive and something all horror fans should experience. In terms of gameplay mechanics it's incredibly simple, but that works in the its favour, leaving you to become fully engrossed in the thrilling and malleable storyline. If you fancy a gory treat that hits plenty of high notes, Until Dawn is highly recommended. Until Dawn will inevitably be compared to Quantic Dream's titles and inevitably be found to be… superior. The horror genre works perfectly in the style and although there are issues, the biggest hurdle it has to overcome is the new societal focus on streaming of games instead. The sometimes sloppy controls will irritate, while the performance capture could have been better, but neither of these issues are nightmarish enough to pull you out of the popcorn flick plot, which is buoyed by the impressive, if not gigantically impactful, butterfly effect. A ridiculous romp is what was promised, then, and this one will keep occupied all night long. Until Dawn isn’t a horror game; rather, it’s a dread simulator: every time a character ends up alone, every time you have a run-in with a character that pops up in-between chapters, every time you see anything weird… you heart rate ups that little bit more. Until Dawn plays with you. It’s an extended metaphor for horror games, one that prides itself on how much it predicts – and counteracts – what you’re doing. 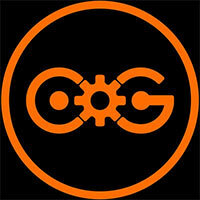 If you care about the advancement of meta-narratives and the player/game relationship, this is for you. With its immersive world, branching narrative, and lifelike character work, Until Dawn will have players on the edge of their seats while pounding them with jump scares and a bone-chilling soundtrack. Having previously worked on ports and smaller titles for Sony, Supermassive Games have shown that they can play with the big boys and we can’t wait to see what they come up with next. Visually, this game once again proves PlayStation's still ahead of the curve when it comes to attempting photorealism. Characters walk and react with a real-world authenticity and while the larger environments may not, occasionally, match the standard of character models, the studio's use of camera angles is top tier. Shame the included documentaries on the game's creation are so brief; we'd love to know more about the process. Equal parts teen slasher, action adventure, and psychological horror, Until Dawn throws a lot at the board and nails only some of it. But its biggest win is choice--permanent, unpredictable, and meaningful. In the end (typically *your* end, multiplied eight times) Until Dawn proves to be both visually and narratively compelling. Niggles creep in due to the rudimentary control scheme – and the option to reconsider decisions that are obviously heading a bad way would’ve been nice – but otherwise I still found I couldn’t put this slaughterrific adventure down. Pero lo que realmente nos cautivará desde el principio será su profunda narrativa y la sensación de responsabilidad ante cada decisión que tomemos. Al contrario que en otros títulos del género, Until Dawn deja claro que toda decisión, ya sea más o menos importante, tendrá un efecto y unas consecuencias en nuestra historia. Esa sensación de responsabilidad se verá favorecida por la imposibilidad de cargar o guardar partida, lo que hará que debamos tener mucho cuidado con nuestras decisiones. Until Dawn tiene sus fallas, pero termina cumpliendo, sobre todo porque no busca revolucionar la industria sino complacer a los fans del terror de película con diálogos tontos, estereotipos, y sobre todo, con sustos de clóset que te harán soltar una risa nerviosa. Ah, y si tienes una PlayStation Eye, conéctala mientras juegas, no te arrepentirás. El videojuego de SuperMassive Games es una mezcla de géneros que deriva en un fascinante relato sobre la elección y el peso que nuestras acciones tienen en la vida y, aunque algunas elecciones son en última instancia superficiales, hay una sensación real de que lo que haces importa en la trama. No será del gusto de todos los aficionados a los videojuegos por su ritmo lento y el uso de los QTE, pero los amantes de las aventuras interactivas como Heavy Rain, Beyond Dos Almas, Life is Strange o los juegos de Telltale Games deberían darle una oportunidad. Until Dawn es la demostración de que los videojuegos pueden presumir de un argumento fuerte y convincente a la vez que mantienen la flexibilidad y el dinamismo que los separa de la experiencia lineal de ver una película. ...Por otra parte, la variabilidad de la aventura y el peso de nuestras acciones es el elemento clave que hace que este título consiga destacar dentro de su género, aunque ya su temática slasher había conseguido que le prestáramos atención desde que se anunció su llegada a PS4. El homenaje de los videojuegos al género slasher y al terror adolescente ya está aquí, y con sus cosas buenas y malas es mucho más apasionante de lo que muchos anticipaban. Castiga, premia, mata o ayuda a sobrevivir al grupo de protagonistas en partidas que cambian enormemente de una a otra. Porque decir que Until Dawn da miedo sería mentir, pero sustituye el terror por la ansiedad de ver que estamos constantemente al límite y que el destino de nuestros protagonistas está literalmente en nuestras manos. Y eso no es ninguna tontería. Probablemente, ya sabes si Until Dawn es un juego para ti o no. Si te gustó Heavy Rain y te gusta pasar miedo, es una compra obligada; si eres de los que se muestra un tanto reticente a las aventuras interactivas pero tiene curiosidad en ellas, puede ser una buena opción para debutar en el género, ya que es un título que intenta hacerte partícipe constante de la acción, y que te da la sensación de "juego", en el que puedes ganar o perder, y en el que eres un elemento clave de la experiencia. Trotz manch holpriger Animationsphase sowie Aussetzern bei Gestik und Mimik hat es mir vor allem die cineastische Inszenierung mit filmreifer Kameraführung und der großartigen Klangkulisse angetan, die aber spürbar unter dem ständigen Hinweis-Geblinke leidet. Die spielerischen Elemente fallen zwar ähnlich rudimentär aus wie in anderen interaktiven Filmen, werden hier aber zumindest von einer gelungenen Steuerung getragen, welche die Immersion noch verstärkt. Sans mauvais jeu de mot, Until Dawn nous a fait peur. Le chemin jusqu'à sa sortie fût long et chaotique, mais le résultat final ravira les amateurs de slashers désireux d'essayer un pendant vidéoludique de leur genre favori. ...Until Dawn reste une bonne pioche capable de faire passer une soirée agréable à un groupe d'amis, qu'importe la profondeur de leur expérience vidéoludique. Et puis, dans le costume du psychopathe, on retrouve un mélange d’inspiration du Ca de Stephen King et de Vendredi 13. Un ensemble qui prouve à quel point Until Dawn a réussi à transposer les codes des slasher-movie au jeu vidéo, alors que le genre manque cruellement de grosse référence dans le domaine. Peut-être qu’avec ce survival-horror, l’on tient là une nouvelle façon de faire ressentir le cauchemar et l’épouvante sur consoles. Until Dawn est un vrai survival horror. Son atmosphère tordue et glauque est cruellement efficace, son ambiance ponctuée d'une bande-son parfaite, ses décors soignés et son scénario bien mené vous plongent dans un moment horrifique dont l'angoisse est indescriptible. Chacun de vos choix vous fera frémir, chaque minute alourdira encore votre malaise et vous donnera envie soit d'arrêter la console, sous peine de suffoquer, soit de continuer jusqu'au bout pour tenter de résoudre le mystère de Blackwood. Très fidèle aux codes du genre, Until Dawn se révèle bigrement efficace dans sa mise en scène et les nombreux choix que l'on est amené à faire renforcent notre immersion dans une aventure angoissante, stressante et gore. Si l'on accepte sa nature de "simple" récit interactif, on découvre une aventure parfois bancale, mais qui réussit avant tout à faire peur, à angoisser, à stresser, car ici, tout se paie cash. La plupart de vos actes ont une importance et sont définitifs. Ils vont ainsi créer une histoire unique et qu'on a du mal à lâcher une fois pris dedans, quitte à jouer... jusqu'à l'aube. Until Dawn estabelece novos padrões para os géneros de aventura modernos, com progressos interessantes relativamente aos antecessores (jogos da Telltale e Quantic Dream) no que diz respeito à produção, criação audiovisual, ritmo e atenção nos detalhes. É a prova viva que os videojogos podem conter um argumento forte e convincente, mantendo-nos afastados da experiência linear de um filme, ainda que por vezes o jogador se torne num mero espetador. Until Dawn imposta nuovi standard qualitativi per il genere delle avventure grafiche moderne, facendo interessanti passi avanti rispetto ai suoi predecessori per quanto riguarda produzione, realizzazione audiovisiva, ritmo e cura per i dettagli. È inoltre la migliore conversione esistente, da film a prodotto interattivo, di un genere cinematografico preciso, quello dei teen horror movie. 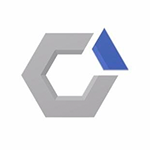 E questo può rappresentare un problema per chi non ama questo filone, ma al contempo anche un punto di forza per chi invece lo apprezza. Il titolo offre un'esperienza nel complesso tesa e appassionante, costellata di scelte morali a tratti spietate e con effetti sostanziali sulla sorte dei giovani studenti. Probabilmente dividerà critica e pubblico come fece lo stesso Heavy Rain, ma per i valori produttivi espressi, il coraggio degli sviluppatori, la buona longevità e alcune soluzioni brillanti non possiamo che valutare positivamente il lavoro di Supermassive Games. В одиночестве наблюдать за злоключениями американских подростков уже не так интересно, а в моменты затишья, когда Джош и его друзья начинают скитаться по шахтам, лесам и психбольницам, становится откровенно скучно. ...Плюс при одиночном прохождении есть опасность принять этот балаган ужасов всерьез, а делать это не стоит — не на то расчет. Поэтому если хотите провести весело время, обязательно наберите друзьям. Ну или пройдите Until Dawn на стриме, общаясь с чатом — тоже ничего вариант. Главное помните, во всем виноваты олени. Игра делает подсказки с помощью спрятанных предметов-тотемов, но на самом деле достаточно здравого смысла и, конечно, опыта просмотра фильмов, которыми вдохновлялись авторы. Когда я проходил Until Dawn, то поубивал немало персонажей, но в основном из-за спешки. И каждый раз я прекрасно понимал, что именно я сделал не так. Поэтому, несмотря на провалы, мне было приятно проходить Until Dawn. Saya menikmati waktu saya bermain Until Dawn. Saya juga penasaran dengan ending yang cukup banyak dan berbagai unlockable, namun ini bukanlah game yang akan senang hati saya mainkan ulang. Saya akan banyak menonton film yang ceria, humor, sebelum saya kembali mencoba mendapatkan ending sempurna Until Dawn. Recommended untuk kamu yang suka game horor. Ne olursa olsun, Until Dawn güzel bir deneme. Zaman tüneli kitaplarını, video oyunaları dünyasına uyarlayan başarılı bir deneme. Çok fazla eksiği var; yukarıda bahsettiğimiz kare/saniye sorunu ve hikayenin konusunun çok blindik olması... Yine de PlayStation 4'ün Dualshock'unu çok eğlendirici şekilde kullanması (Telefonların tuş kilidini D-Pad ile açmak, kıpırdamamak için dualshock'u haraketsiz tutmaya çalışmak), etkili hikaye anlatım tekniği, ara ara kırdığı dördüncü duvar ve şahane yüz detaylarıya alınası, oynanası bir oyun olmuş. Until Dawn begint als het moorddrama dat je verwacht met vele - soms oprecht moeilijke - beslissingen om te maken. Het verhaal is niet bijster sterk, maar de ontwikkeling die je in de personages ziet en de manier waarop je andere uitkomsten krijgt op basis van jouw acties maken het de moeite waard. Jammer genoeg valt de game soms iets te veel terug op jump scares, maar weet doorgaans wel een goede spanning op te bouwen met een uitstekende sfeer. Until Dawn is een horroravontuur dat de moeite waard is om te beleven en te herleven. Until Dawn is een game die redelijk laag in tempo ligt, maar dusdanig perfect in elkaar zit dat je er eigenlijk niks negatiefs over kunt vinden. Grafisch is de game bijna perfect en het geluid, stemacteerwerk en animaties sluiten daar naadloos op aan. Vanaf begin tot eind worden je keuzes bijgehouden en word je gemindfucked bij de vleet. Daarbij zit er nog een moordenaar achter je aan en moet je diverse mysteries ontrafelen. 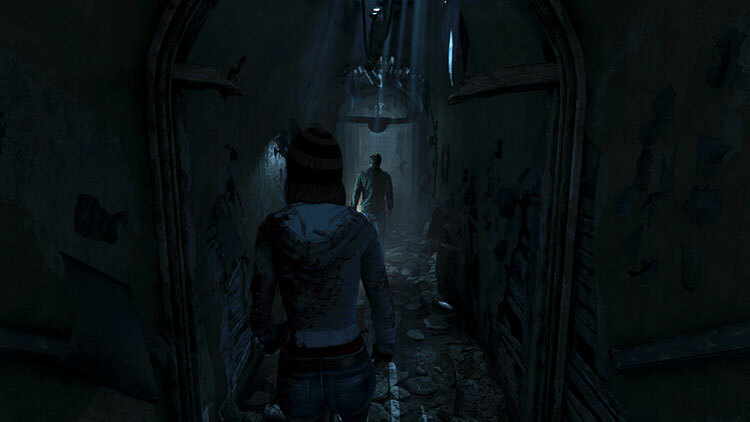 Supermassive Games landar Until Dawn med bravur under en spelhöst som ser oerhört fattig ut på skräck-fronten. Fyllt av minnesvärda karaktärer så hittar du inte en liknande resa bland de stora AAA-titlarna under 2015. Until Dawn är unikt, extremt välpolerat och står ensamt på en scen dit få vågar ta sig ...... Förutom åtta tonåringar då. I slutändan är Until Dawn ett mycket bra spel jag redan har spelat igenom flera gånger, och som jag kommer vilja spela igenom någon gång till innan jag känner mig helt klar. Och för skräckfantaster som inte räds Quick Time Events är det ren mumma. Det här är för tillfället det närmaste interaktiv film vi kommit i spelvärlden, och jag har svårt att tänka mig ett bättre spel att mysa med när den svenska svinhösten drar igång med snålblåst, väta och mörker.